The Weighing/Labelling Unit labells your products according to their weight. It is therefore possible to write the price per kilo or the weight of your products in addition to the legal information. 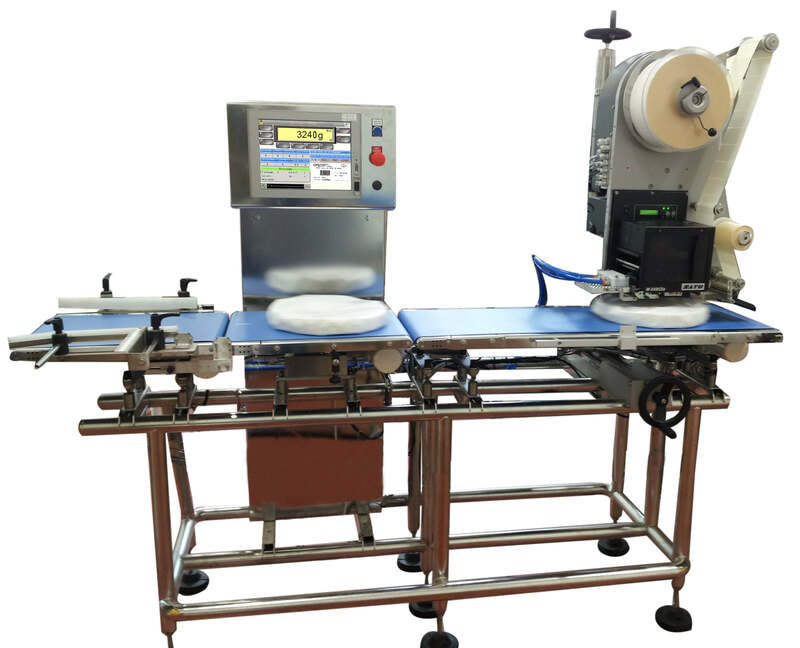 The Weighing/Labelling Unit is composed of a Checkweigher TG3-A and a Labeller HP printing/placing. 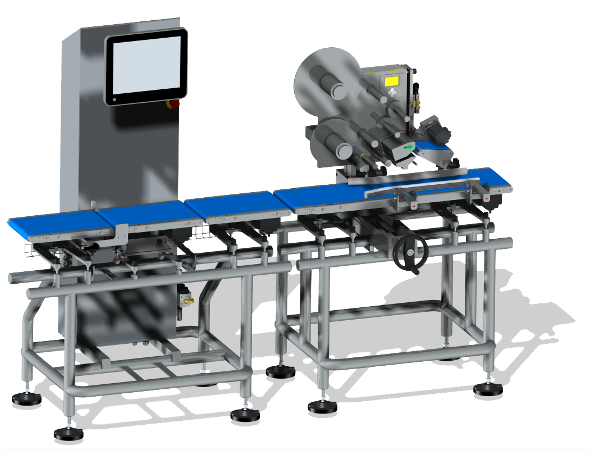 Labels are printed on demand, at each passage of product on the weighing conveyor. They are then applied on your product with a suitable applicator. Its stainless steel design on tubular frame allows very easy maintenance. The conveyor belts are removable within minutes without tools (see below). Its great particularity is its design only made of standard retails parts, especially its automaton. It is therefore fully accessible and allows the maintenance service to perform possible modifications and to facilitate troubleshootings. The Weighing/Labelling Unit production statistics can be stored and made available in .csv format through USB stick or through Eternet networking.